The players of No Man’s Sky have made their own civilizations and governments, and even had their own wars. What’s next? Their own time zone. King Hova is the leader of the No Man’s Sky civilization The Galactic Empire of Hova, as well as their ambassador to The United Federation of Travelers, which is basically No Man’s Sky UN. Hova’s civilization thrives on fan-made lore; players write their own accounts of interactions with other civilizations in character as citizens of Hova. One problem with this is that it doesn’t feel very science fiction to say that an event happened on the 3rd of January. Hova’s proposed solution is to create a Galactic Standard Time, a way of measuring the passage of time specific to No Man’s Sky. “The calendar has 12 months just like calendars IRL, mostly just for simplicity’s sake, and the names are derived from some in-game references or just meant to sound ‘alien’ in nature,” Hova said over Reddit private messages. The calendar will also be marked to celebrate events like Unity Day, a fanmade holiday where players celebrate togetherness, or the Vestroga War, a clash between The Kingdom of Hova and Vestroga in which Vestroga was wiped off the map. The current mock up of the lore calendar. The calendar will use what Hova calls the Accelerated Time Scale. In the current model, one real life day will equal four No Man’s Sky days. That means an event like the Vestroga War, which only lasted a couple days in our world, would have taken a month of No Man’s Sky time. “So for lore purposes we would say the Vestroga War lasted all of the month of Ellion even though it only really took a few days,” he said. “This is actually very fitting because it would put the end of the War right alongside Unity Day.” Unity Day, if you’re wondering, takes place of the 30th of Ellion—that’s December 30th. Hova and the people he’s working with haven’t quite ironed out all the kinks yet, but they hope to create a full mockup calendar to make dates easy to transpose. Not every civilization’s ambassador is on board, however. Hova floated the idea for Galactic Standard Time last year, but he didn’t have any defined plans and it was shot down by other ambassadors. This time around, most civilizations in the Federation seem behind it, though some seem to think it’s more trouble than it’s worth. 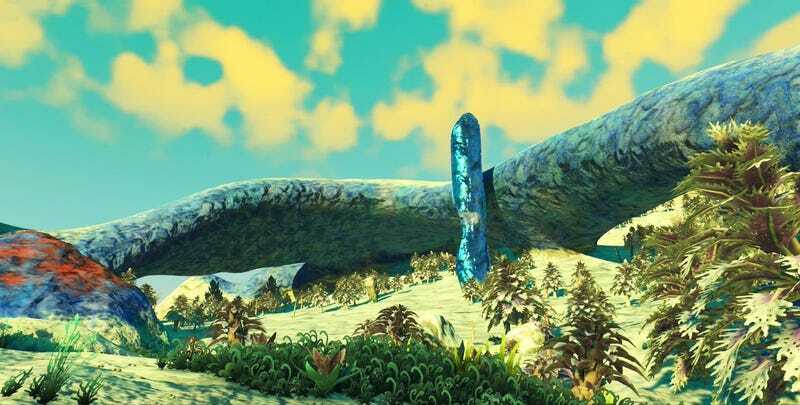 Pahefu, the ambassador to the Federation from Galactic Hub Hilbert, said in a reddit post on the topic, “We humans cannot achieve uniform date standards in real life, so I won’t ever see this with good eyes.” In a Reddit private message, 7101334, the founder of the Galactic Hub, said, “Since it’s not a potentially harmful idea, just unnecessary at worst and interesting at best, I’ll probably vote in favor of its final incarnation.” Even if it turns out Galactic Standard Time is unnecessary, as 7101334 says, it’s one more example of the ingenuity of the No Man’s Sky community.